Apopka's Award Winning Dry Cleaners! Take note, we also offer free pick up and delivery services for your dry cleaning and wash, dry, and fold needs. Plus our services don’t stop there. On top of our traditional dry cleaning services and our wash, fold, and dry services, we also offer specialty item cleaning services, household item cleaning services, emergency cleaning services, as well as tailoring, and alterations. Learn more about the cleaning services that we offer here in Apopka, or reach out to us to get started! To clean all of those articles of clothing that are marked with the infamous “Dry Clean Only” tag, we can help. We provide green, eco-friendly dry cleaning services for any and all of your garments, including business wear, evening wear, sportswear, and your wardrobe accessories. Whether it’s a business suit or a high-style dress, we can clean your business wear. Our dry cleaning techniques are tough on dirty clothes, yet gentle enough to keep from damaging their fabrics, so you can rest assured that your business wear will look professional for months on end. Your collection of evening attire likely includes some of your favorite and most expensive items. And, it probably includes items with the most delicate fabrics. When you need a deep cleaning that won’t damage your evening wear, we can provide. Sportswear tends to be difficult to clean, due to the materials from which sportswear articles are made, as well as the stains, sweat, and wear and tear that these articles endure. Again, we take care to clean your sportswear thoroughly, while ensuring that your items won’t lose their longevity. Have a few ties that haven’t been cleaned this millenium? Or a scarf that ended up flying into the gutter as you walked down the road? We can clean these delicate items too. Feel free to read more about our garment cleaning and restoration services, or schedule a free pick up and delivery while you’re here! Have too many loads of clothing to clean? Not enough hours in the day to do so? If your hampers are overflowing with dirty laundry, we have the solution. We offer wash, dry, and fold services, so that you won’t have to lift a finger to get all of the articles of clothing around your home off the floor and back into the closet. Combine our wash, dry, and fold services with our free pick up and delivery services, and you’ll realize that cleaning your clothes couldn’t be any easier. We work with any load size, garments of any color, and any type of fabric. Your specialty items may often go uncleaned, because there’s simply no easy solution to clean these items in your home. Don’t fret. You can hand them over to us for a careful cleaning. We clean wedding gowns, fine rugs, vintage clothing and articles, as well as leather, suede, and fur items. Getting married can do a number to your dress. With spilled wine, cake stains, and sweat from a night of dancing, your wedding dress can quickly lose its lustre. Fortunately, we can make quick work out of the most difficult stains, and we’ll have your wedding dress looking as good as it did the day you put it on. Your fine rugs may not look (or smell) so great after a few months underfoot. We provide specialized cleaning services for your fine rugs, which clean the delicate fibers of the rug, without tarnishing their longevity. Do you have vintage items in your wardrobe? Are they stained, torn, or dirty? We can restore these articles to their former glory, and we can even provide alterations while we’re at it. Leather, suede, and fur items require special care when cleaning, or else they can become cracked (or in the case of fur, they can shed their hair). We know how to properly clean these items while keeping them from being damaged in the process. Our professionals are here to help! Choose Best Cleaners for all your dry cleaning needs! If you’re like most Americans, your house is full of various bulky or delicate household articles. We can clean those too. We clean comforters and blankets, pillow shams, drapes, and rugs. It’s likely that your blankets and comforters won’t even fit in a traditional washing machine. Fortunately, we’re just a call away, and we can take those big, bulky blankets off of your hands. If you don’t have the luxury of a large washing machine, we can clean your blankets and comforters for you. Your pillow shams are probably stitched out of a variety of delicate materials, and they may feature various textures and patterns. We take care to clean your pillow shams without harming the stitching or fabrics. Again, we can clean any rugs that you may have in your home, regardless of the size. We know that your rugs can take a beating, what with dirty feet, pets, and spills. That’s why we provide deep cleaning services for your rugs. Your drapes are just as likely to soak up dust as the rugs around your home. If it’s been a few months since your rugs have had any attention, they can end up musty and discolored. That’s a sign that it’s time to bring them into Best Cleaners. Want to learn more about our services? Have a question about a specialty garment that needs cleaning? Give us a call at: (646) 417-2003 or click the button below to visit our contact page. Fires and flooding can be catastrophic, and these disasters can leave your home in disarray. You may lose precious belongings when an emergency happens. However, you may be able to salvage some of your items, including your clothing and other fabric articles. We provide water, fire, and smoke damage cleaning services. Fire can char your rugs and drapes, or it can leave your clothes caked in smoke. In some cases, we can restore your items, with thorough cleanings and alterations. Water damage may leave your clothing moldy, but that’s nothing that our cleaners can’t handle. We can clean all of your garments, and other household items (e.g. rugs, drapes, blankets), so that you can get your life back on track. On top of our traditional wash, dry, and fold services and our eco-friendly dry cleaning services, we also provide clothing alterations and custom tailoring. So if you need a custom-tailored suit, or you simply need to hem a pair of pants, we can help. 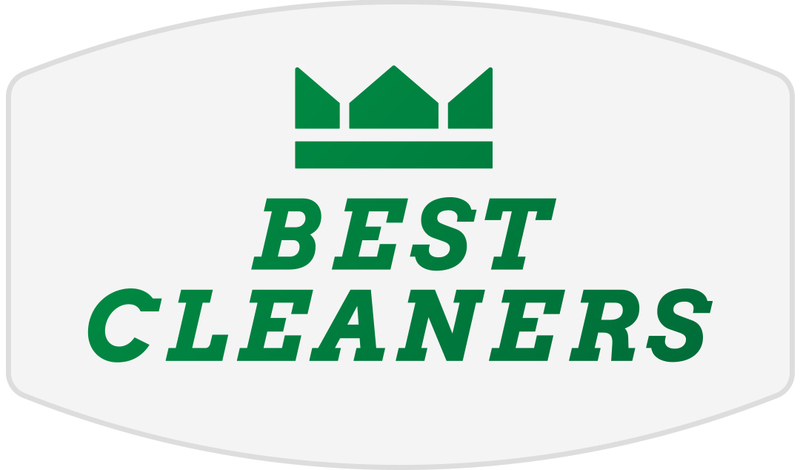 If you’re ready to find out how Best Cleaners got its name, we’re here to ensure every garment and article in your home is as clean as ever. Get started by scheduling a free pick up and delivery, or stop by our Apopka shop with your items.